The Frameless, black glass, accented with a stainless steel strip is just one of the reasons the Fisher and Paykel Gas on Glass hob is the ultimate in premium quality. From a powerful wok burner to an extremely low simmer burner, this hob lets you create mouth watering dishes with ease. Top of the range safety systems, and performance features makes it very hard to look past this model. The black reflective glass, brushed stainless steel and polished metal trim blend elegance with durability to match the rest of our coordinated kitchen family. 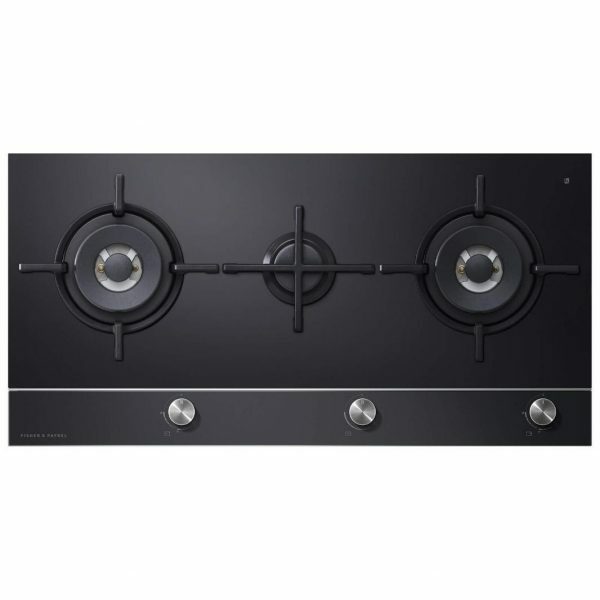 It delivers total cooking precision through the latest burner technology and contemporary stainless steel controls.